Remember when Asian-fusion restaurants were all the rage in the late 90s and early aughts? And I’m not talking about Chinese restaurants that suddenly (and questionably) started serving sushi. I mean the places that usually paired something Asian (and by Asian, I mean Japanese) with something “exotic”, like the Cuban-Japanese places, or the Portuguese-Japanese places. Fun as it was when it first appeared, like most trends the food soon became rote and uninspired. Today, there are still some highly visible Asian-fusion joints getting attention, Chinese-Indian and Korean-Mexican most notably, thanks to yet another craze: food trucks. But there is one lesser known fusion blend here that is better known in its land of origin: French-Korean. 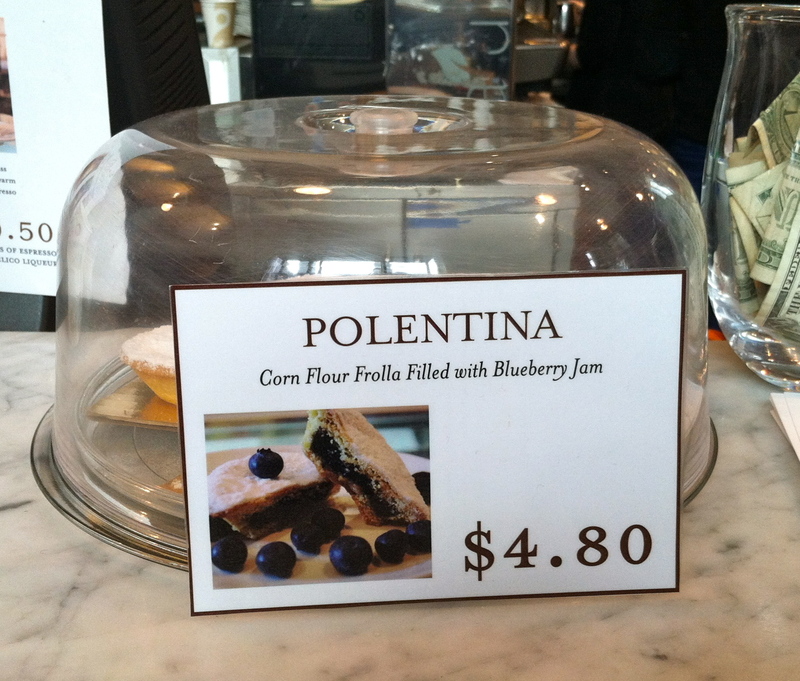 Specifically: French-Korean pastry. If you head over to Koreatown, the heart of which lies on 32nd Street between 5th and 6th Avenues, there are now not one, but two French-Korean bakeries on the street. The one holding residence longest is Paris Baguette, a popular Korean chain with outlets in South Korea, China, and the United States. At Paris Baguette, you will find the typical red bean buns and airy sponge cakes that are common in many other Asian bakeries. However, you will also find some French classics, like canelés and pains au chocolat. 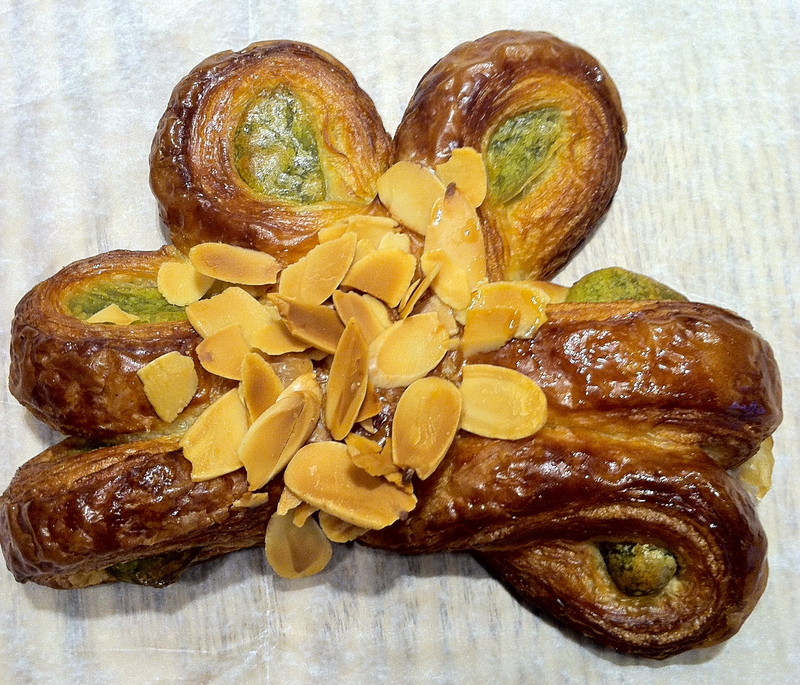 But best of all, you will find hybrids like these guys: green pea pastries.